She also posted an Instagram story saying, "There's something so special about heading home. 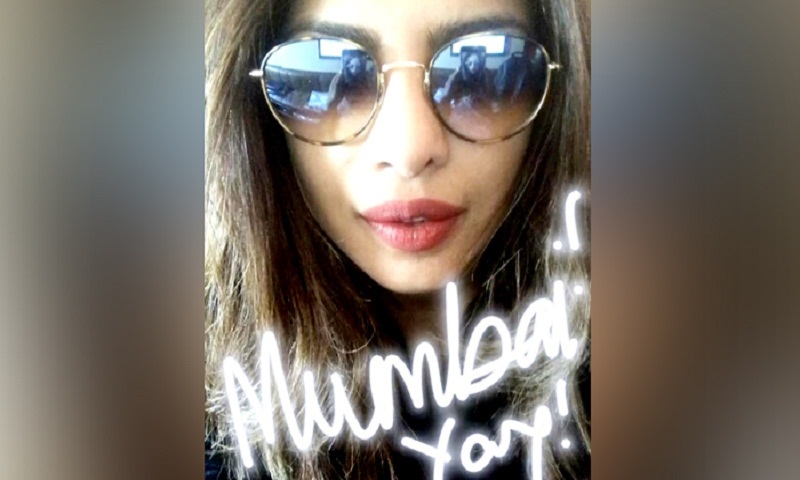 I mean, I know I haven't taken off yet but I can't wait to be back in Bombay." Apart from fulfilling a few endorsement deals, the buzz is that the star will announce her next Bollywood film. Latest reports hint that 'Bajirao Mastani' director Sanjay Leela Bhansali is keen on Priyanka being a part of Sahir Ludhianvi's biopic.